William F. Milliken was born in Old Town, Maine in 1911. He graduated MIT in 1934. During World War II he was Chief Flight Test Engineer at Boeing Aircraft. From 1944, he was managing director at Cornell Aeronautical Laboratory (CAL/Calspan), retiring as the head of the Transportation Research Division, which he founded. 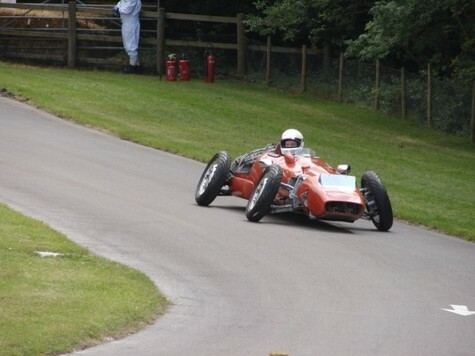 Bill joined the SCCA in 1946 (Competition License No. 6) and contested over 100 races as well as holding many responsible club positions. Milliken Research Associates was founded in 1976 and continues as a foundational research asset to the automotive and auto racing industries. Bill remains active in MRA, which is now run by his son, Douglas L. Milliken. Bill is co-author of Race Car Vehicle Dynamics and Chassis Design. He is an SAE Fellow, member of the SCCA Hall of Fame, recipient of the SAE Edward N. Cole Award, the Laura Taber Barbour Air Safety Award and many other citations for innovation. Today Bill lives in the Buffalo, New York area with his wife, Barbara. He continues to consult with racing and chassis engineers. He jogs around the half-mile track behind his home and spends several evenings at the gym. This book works on many levels. It's a fascinating look at the world of aviation pre- and post-WW II. You get a ringside seat at the dawn of the sports car movement in the United States. It is an honest glimpse at what life was like in America around the turn of the Twentieth Century, and what it feels like to enter early adulthood under the weight of a major economic depression. Most of all, it's a tribute to what it means to be a racer, to be an entrepreneur and a generative person, to get up each morning and say "How am I going to change the world today?". I believe "design" is a verb and "innovation" is best thought of as the outcome of relatively tight set of behaviors and life attitudes embodied to their fullest by people like Bill Milliken. He designed his life, and continues to live a remarkable one today.